Why do we put up pictures of three-leaved clovers, or small red-haired men in celebration of Saint Patrick's Day? Find out why in this guide to the folklore, traditions, and symbolism of Saint Paddy's Day. 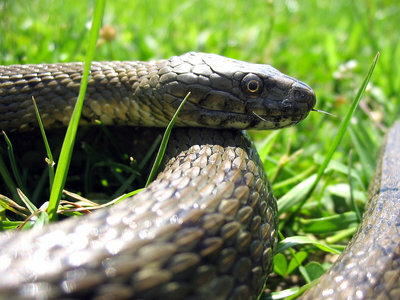 Though the traditionally accepted story goes that Saint Patrick, the Patron Saint of Ireland, drove the snakes out of the country, anyone who goes to Ireland can tell you that the cool, damp climate of the country is not suitable for snakes in the first place. Snakes never existed on Ireland, and even the idea of St. Patrick being Irish is just a bunch of blarney. According to historians, Saint Patrick was born in Britain (likely Wales) in the late 300s to an aristocratic family who lived a comfy life in a villa in the country, and owned plenty of slaves. When he as 16, he was kidnapped and was forced into slavery as a sheepherder on the coast of Ireland. He tended sheep for several years before, as folklore has it, he heard a voice telling him to escape. Young Patrick returned to his family in Britain, but then the voices came back, and told him to go back to Ireland and spread the word of Christianity. Patrick returned to the country where he was once enslaved, and he became a Christian priest, and later a bishop. He took it as his mission to convert as many Irish people (many of whom were Pagan at the time) to Christianity, and he is believed to have baptized thousands of people in Ireland. Many historians believe that the snake myth surrounding Saint Patrick grew from the symbol of the snake, which typically represents evil (such as the snake in the Garden of Eden), and that it is a metaphor for Saint Patrick ridding Ireland of the perceived “evil force” of Paganism by introducing Christianity. The symbol of the shamrock or three-leaf clover stems from another myth surrounding Saint Patrick, which was that he taught the Irish about Christianity by using a clover, showing that its three leaves represented the Holy Trinity – the father, the son, and the holy spirit. There is no evidence of this actually happening, but historians believe that many Irish Christians already saw the clover as a symbol of the cross, and it is possible that Saint Patrick adopted this symbol to further his missionary efforts in the country. Shamrocks are also considered to be a sacred plant in ancient Ireland because they symbolize the rebirth of spring. 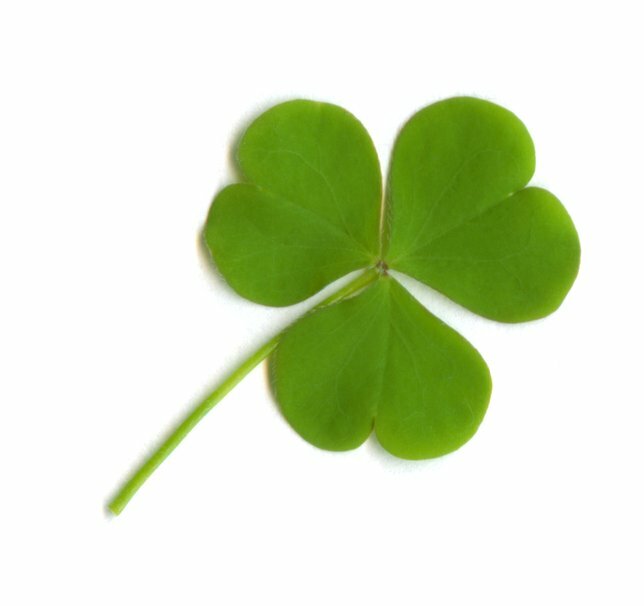 A four-leaf clover, on the other hand, is caused by a genetic mutation in three-leaf clovers, and are far less common, which is why finding one supposedly makes the finder lucky, and gives them good luck, according to superstition. It has been estimated that there are as many as 10,000 three-leaf clovers for every one four-leaf clover. 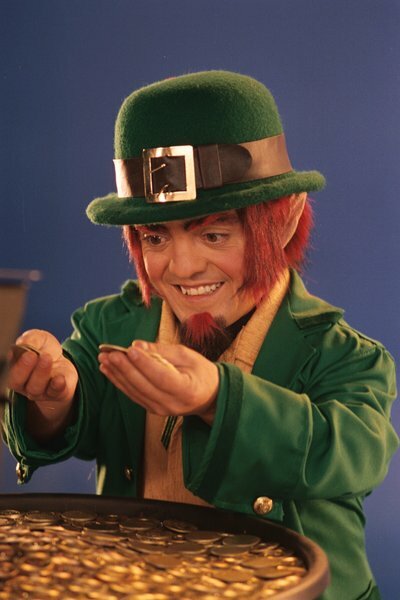 Leprechauns are considered to be fairy-like creatures in Irish folklore that date back to Celtic mythology. They are curmudgeonly and mischievous, and typically take the form of a small man wearing a green outfit and green hat. According to lore, leprechauns are solitary creatures that live in remote areas as cobblers and make shoes. They are believed to have a hidden stash of gold, which they obsessively protect. These tiny men have made their way into Saint Patrick’s Day not by any connection to the saint, but because of their ties to Irish culture. Though many families make corned beef as the main part of their “Irish” dinner for Saint Paddy’s day, the meal is actually more American than Irish. Experts say that corned beef has only been associated with Saint Patrick’s Day starting around the turn of the century, and that it started when Irish immigrants living in the Lower East Side of New York City began using corned beef for their Saint Patrick’s Day dinner instead of the traditional dish of Irish bacon in order to save money. This was a tip that the Irish in NYC actually learned from Jewish people in the community. Subject: LongIsland.com - Your Name sent you Article details of "The Truth Behind St. Patrick’s Day Folklore, Traditions, and Symbolism"